Softip tournament coming up! The Homer Bar BC Flight 15.89 below 01 Doubles Challenge 2019. From 4th to 5th May, 2019 at Homer Bar, Damai. -Standard soft darts rules apply. Softip tournament coming up! The DARTS VADER Double Challenge 30.99 CHARITY DARTS TOURNAMENT, from 13th to 14th April, 2019 at Darts Vader, Plaza Grand Milliennium, Penampang. The Champion pair takes home RM2,000 and trophy. Cash prizes and medals to Top 8 level. 🎯Phoenix Dart Machine 5 units. 7.30pm : Game On for group ABCDE. 10.00pm : Game on for group FGHIJ. Game On for KO until Final. + 0.3 untill Final . 🎯Min. 32teams , Max. 64 teams. Super Darts Inc Double Event Rating 19.99 and below. Softip tournament coming up! The Super Darts Inc Double Event Rating 19.99 and below. From 23rd to 24th March, 2019 at Super Darts Inc, Damai. The champion pair takes home RM1,800 and trophy. Cash and medals to Top 4 placings. Medals to Top 8 placings. MINIMUM 24 TEAM GAME ON. SANTAI CAFE & DART HOUSE DOUBLE DART WEEKLY 2019. *🏡Venue*: Santai Cafe & Dart House, Kg. Ulu Kimanis,Bt.14,kimanis, Papar. The 2019 Dream Cafe Double Challenge 29.99 Darts Tournament. Softip tournament coming up! The 2019 Dream Cafe Double Challenge 29.99 Darts Tournament. From 22nd to 23rd March, 2019 at The Dream Cafe Bundusan, Penampang. The champion pair takes home RM2000 and trophy. Cash prizes and medals to Top 4 placings. Medals for Top 8 placings. 🎯Venue: Dream Cafe Bundusan Penampang. 🎯Team Combination Rating is Follow General Rating. 🎯Phoenix Dart Machine 3 units. 22/3/19 Friday & 23/3/19 Saturday. 6.30pm Game On for KO until Final. 🎯After Round Robin Refresh Rating. Knock Out No Refresh Ratiing. 21/3/19 (6.00pm to 8.00pm) At Dream Cafe. 🎯Handicap Apply ＆ Burst Rating +0.3 untill Final . 🎯 Register Fees RM160 Per team . 🎯Min.20 teams , Max.27 teams. Steeltip tournament coming up. The First Double Dart Tournament 2019 Arena 5ive01, on 30th March, 2019 at Arena 501 Dart & Cafe, Donggongong Square, Penampang. The champion pair takes home RM1,000, cash prizes to Top 8 positions. Various other novelty prizes are available. Steeltip tournament coming up! The EstherDartCafe Tambunan Double event, from 2nd to 3rd March, 2019, in Tambunan. The champion pair takes home RM1,000. Cash prizes and medals to Top 8 placings. Medals for Top 16 placings. There will also be a Ladies Single event. *POSTPONED* … SUPER DARTS INC *BC FLIGHT DOUBLE* Rating 17. 99 and Below. Softip tournament coming up! The Super Darts Inc BC Flight Double RT17.99 and below! From 22nd to 23rd (Saturday & Friday), February, 2019 at Super Darts Inc, Damai. RM1,888 for the Champion pair, cash prizes and medals to Top 4 level. Medals to Top 8 level. 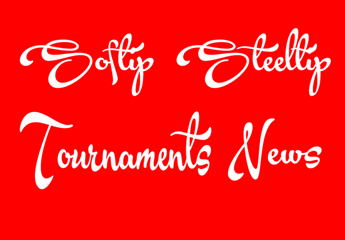 Steeltip tournament coming up this Sunday! Bah mari kita ke Santai Cafe & Dart house..